The self service business analytics space in India is witnessing a remarkable growth with many startups booming in the space. EZlytix is one such startup which was founded in 2015 that is helping businesses deliver solutions and revolutionising the use of business analytics for small and mid-sized manufacturing and distribution companies. 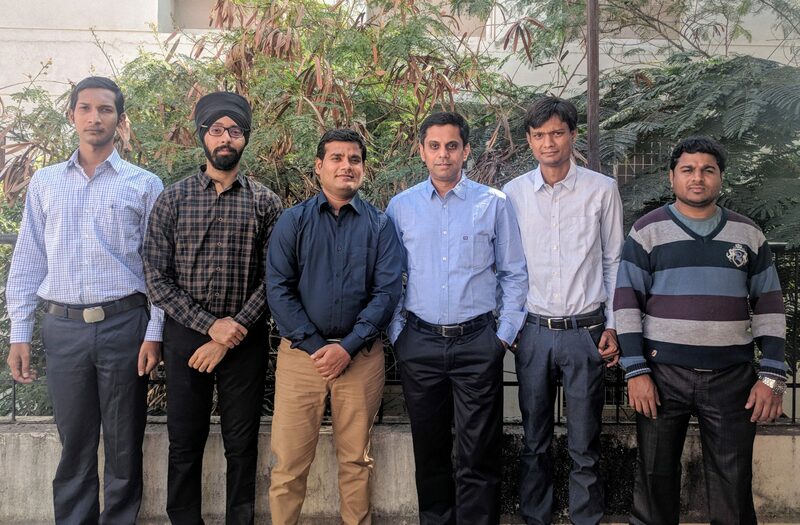 With their headquarters in Dallas, Texas and an offshore office here in Pune, the EZlytix team is currently 10 people strong. A self-funded startup, they currently have no plans to go for VC funding. The founders believe that EZlytix is an incredibly collaborative and organised start-up that is run by ideas and not the hierarchy. Before EZlytix, the founding member had worked on multiple large-scale projects in analytics but with a traditional approach. It was during their previous projects they realised that it is an expensive process which requires upfront capital to hire expensive and skilled resources, especially small and mid-sized businesses, who constantly struggle to leverage their data to get key actionable insights in every aspect of business. It was then that they decided to start EZlytix. The company offers a cloud-based ‘Managed Analytics as a Service’ solution for small and mid-sized manufacturing, distribution and retail businesses. “Most mid-market businesses do not have an easy to use solution to help executive get the visibility they need to drive profitable growth. Managed Analytics as a Service (MAaaS) is a great fit if the company spends a lot of time spend a lot of time collecting and manipulating data in spreadsheets and less time analysing,” he said. “The beauty of Managed Analytics as a Service is that it’s a subscription-based service that gives the user the ability to try before you buy and cancel anytime. An organisation can take their existing staff and with minimal training and can start leveraging data to make better decisions. Data should not be limited to a few but everyone who can perform better in their role using data. ROI of Managed Analytics as a Service is over 1200%,” he added. Today, enterprises recognise the critical value of advanced analytics within the organisation and they are implementing data democratisation initiatives. As these initiatives evolve, new roles emerge in the organisation. “We feel analytics translator is a new role that is very critical for the organisation,” said Sardeshmukh. The analytics Translator is an important member of the new analytical team. As organisations encourage data democratisation and implement self-serve business intelligence and advanced analytics, business users can leverage machine learning, self-serve data preparation, and Predictive Analytics for business users to gather, prepare and analyse data. “The emerging role of Analytics Translator adds resources to a team that includes IT, Data Scientists, Data Architects and others,” he added. Sardeshmukh explains that every mid-market business needs an analytics solution but the traditional way of procuring visualisation tools and engaging resources to implement is a long and expensive proposition and most companies cannot justify the ROI. So the companies end up spending significant time collecting data from various systems and less time analysing the data. Some of the major clients are WinSystems Inc., Hobbs Bonded Fibers, Rolland Safe and Lock company. EZlytix is hosted on Amazon AWS cloud with best of the data security features. It stores client data in Amazon RDS encrypted instance using industry standard AES-256 encryption algorithm. Amazon RDS encrypted instance provide an additional layer of data protection by securing the data from unauthorised access. EZlytix Web and Visualisation applications are secured with SSL certificate to keep sensitive information sent across the Internet encrypted and provides authentication. EZlytix uses Barracuda secure VPN tunnel for data replication to establish highly reliable and secure site-to-site VPN connections between AWS Cloud and clients on-premise network using IKEv2 IPsec and AES256 Encryption. Sardeshmukh shares that the industry is flooding with visualisation tool like Tableau, Power BI, QlikView etc. “For implementing the solution we are offering they need to procure one of the many visualisation tools and engage a team of at least 2 full-time resources to extract the data, create the data model, map the data and build Dashboards and reports. The average annually spends including software license, infrastructure and resources to build, support and maintain the solution is in the access of $250,000 for a mid-market organisation. We offer the end-end solution that ranges from $20,000 to $30,000 per year and enables our solution in less than a month. We offer a significant cost and time advantage,” he explained. They also boast battle-tested dashboards and KPIs allowing the executives to hit the ground running. “Also, we grow our solution using peer sourcing so what we build for company A will be available for company B at no additional cost. Analytics has to evolve and cannot be a static set of reports,” he added. Ever since they have started the company in May 2015, they have seen an exceptional growth. From spending time in product ideation to building a team of advisors with vast experience in entrepreneurship and successful business background, there was a lot of work involved. “With their inputs and business requirements, a beta version was built and since then we are working on solutions and adding new features and capabilities within the product,” he said. From serving the first customer, WinSystems Inc. in October 2017 to many happy customers till now, they have witnessed a good trajectory. “We have a strong pipeline for 2019 and already talking to 3-4 customers, along with building some channel partnerships with few management consulting companies who are helping us to offer our solution to their existing customers,” he said on a concluding note.